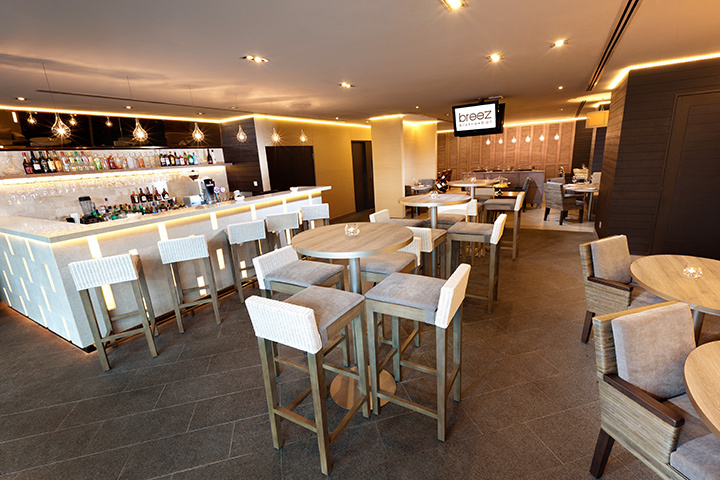 Located on Level 4, with a nice view of the refreshing swimming pool, guests may enjoy the food and beverage selections from breez bistro.bar; both indoor – in the comfortable restaurant, lounge and bar – or outdoor by the pool. 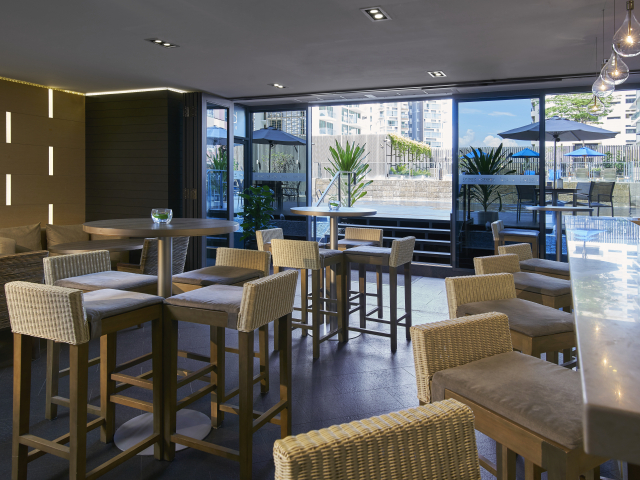 Savor local and international delights at breez bistro.bar, a restaurant and bar which offers a casual and modern ambience for guests to enjoy lunch or dinner with family and friends. Savour a wide selection of drinks at any time of the day and try out the bistro’s specialty, a complete choice of juicy and tender steaks directly from the grill! Along with the exquisite menu, breez bistro.bar offers a refined list of wine to accompany your every meal for every occasion. Alternatively, you can request for a special cocktail creation from our bartender. 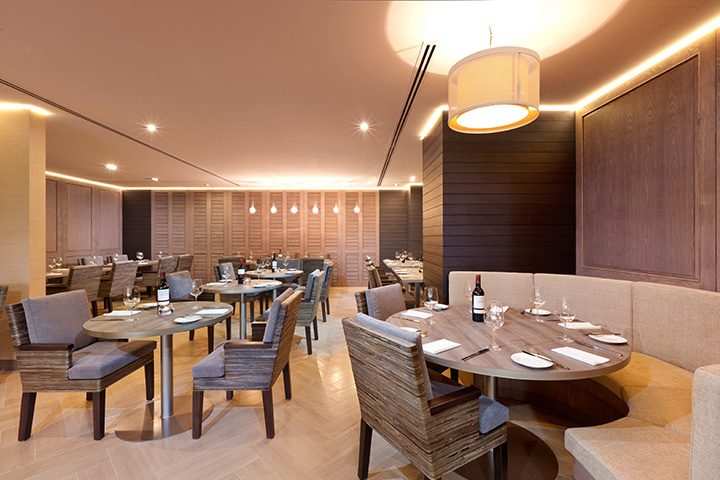 Grand Mercure Singapore Roxy operates a Halal Certified Kitchen on Level 4.
breez bistro.bar HAPPY HOUR is available every day from 5.00 pm to 8.00 pm and ALL DAY SUNDAYS! Click here for more details. For reservations, please call 6340 5860 or click here.